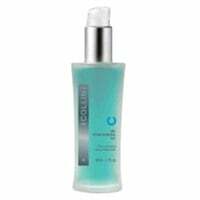 G. M. Collin Gel Derm Renewal/Derm Renewal Gel - 1.7 fl. oz. Salicylic Acid 2%, Water, SD Alcohol 3-A, Glycolic Acid, Arginine, Lactic Acid, Zinc Acetylmethionine, Ammonium Hydroxide, Copper Acetylmethionate, Magnesium Aspartate, Zinc Gluconate, Copper Gluconate, Capryloyl Glycine, Sarcosine, Cinnamomum Zelanicum Bark Extract, Hydroxyethylcellulose, Copper Sulfate, Menthol, Sodium Citrate, Zinc Sulfate.